The most important decision I made in the preparation for my masters degree, in studying the intellectual contexts and inheritance of Niccolò Machiavelli, was to commit myself to understanding and accessing the original historical manuscripts of his texts and that of his intellectual humanist heritage to make sense of the historical period and intellectual contexts in which he had written his most important works. 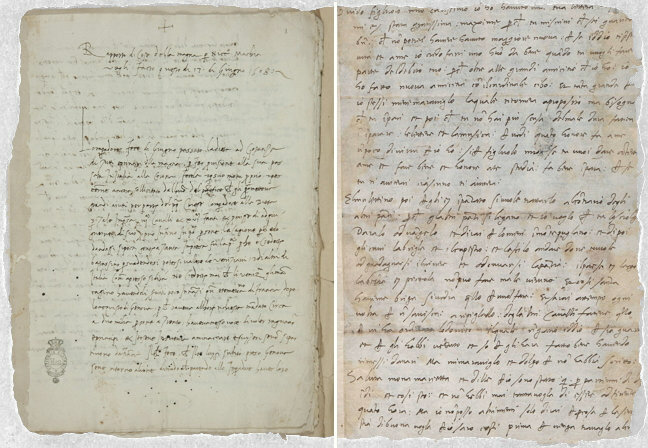 I decided and succeeded in my first year in obtaining special permission from departments of the university I attended to take an advanced seminars in manuscripts studies and access as well multiple photocopies of manuscripts regarding Machiavelli and his intellectual inheritance. In this post, I want to reflect on the relevance of this type of technical training in a changing higher education and its relevance in a digital age. 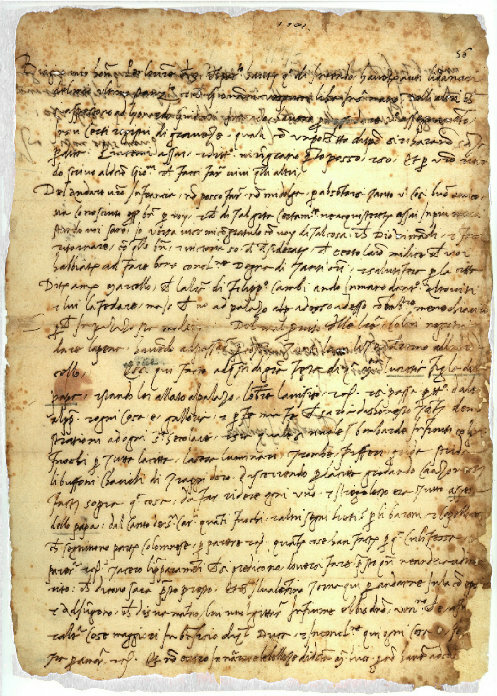 What I had wanted and received was a professional training and expertise in a very specific aspect of Machiavelli’s works and Italian humanism by working with experts in rare manuscripts — experts that could and in fact indeed mentored my project, assessed the quality of my work as it progressed and provided insight into navigating the successes and frustrations along its path. The mentorship was what made the seminar undoubtedly successful. It was undoubtedly helpful in providing the base to locate and work with the Machiavelli’s Italian manuscripts — works that were vital in reconstructing the historical and intellectual contexts to frame the meaning of Machiavelli’s texts but also giving my scholarship work a unique level of depth and quality. I also learned insights into collaboration with other experts around the world and correspond with the premier libraries across Italy. The weekly seminars were highly diverse in subject and consisted in advanced lectures on the state of manuscripts studies in the 21st century, in particular the benefits and disadvantages of digitization. The seminar itself consisted of a hyper-diverse group of graduate students from differing academic backgrounds in musicology, feminism, French literature, political philosophy and various cultural religious backgrounds and languages — a diversity that taught us how to prepare for subjects for an audience with no awareness of the foundations of our subject, taught us to overcome and manage diverse cultures barriers, and work on our confidence to contribute to diverse topics characteristic of a hyper diverse group — a rare skill set that should be highly valued in greater integrated global cultures. The seminar also provided each one of us with future insight into the kind of cutting edge opportunities that will be available to us as researchers through video-conferencing collaborations with institutions like the Parker Library at Cambridge University and scholars in diverse fields of expertise. As a group we quickly became proficient in cross-disciplinary and intersectional aspects of our research as well as managing cutting-edge social media and conferencing technology at home and in the seminar room. It afforded us a cutting-edge exposure to how technology can be embedded in the seminar room. In a future post, I will cover this topic in more depth. While my work should have taken me deep into the past, it ironically brought me to the cutting edge of the future. Old manuscripts and rare books are now more accessible than ever with digitization and cutting edge online tools that allow us to preserve and collaborative across the world. Three of the best examples that have been highly successful are the British Library of Medieval Manuscripts in London available here; the Thomas Fisher Rare Books Library in Toronto available here; and the Parker Library at Cambridge University available here. 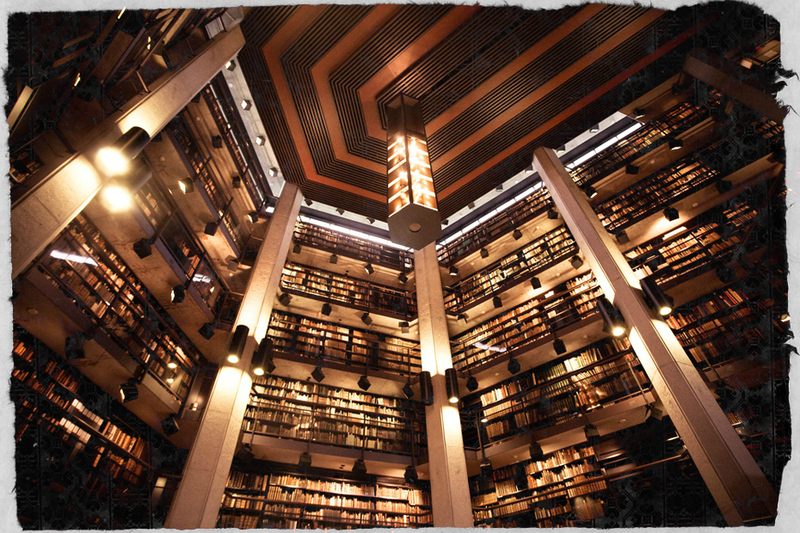 I will cover each of these online libraries in another post. The question however how and why are digitized online 12th century manuscripts relevant in the digital age of today? Apart from the purpose of preserving decaying manuscripts beyond their natural life and their art work as a source of inspiration, these manuscripts are contexts for understanding some of the most popular works in literature today. They are enormously important parts of our living heritage and history — a past that shapes our awareness and insight into the better and more human aspects of identity, and the stories, that tell us who we were, who we are, and where we are going as humanity. The key to its future success in higher education, perhaps the key to all fields of higher education, in a digital age is the extent to which it adapts to collaborative intersectional work and the instructors coach and manage well their students through the successes and frustrations of their studies. The field and the technology that made rare books and manuscripts accessible will rely on a striving, collaborative and global intellectual community to sustain and adapt it to new interests and passions once digitization is complete. This is found and fostered in seminars rethought as freelance learning spaces in which students can teach themselves and pursue their own projects within standards and rigors of academia — spaces where students can explore their own passion, their own project with mentorship to guide them as they progress and completion. Future seminars must have online digital components that allow it to have connectivity with local and global communities, social media, NGOs and international governing organizations. Everyone has a history. Like in my experiences in Manuscript studies, embedded in social media, digital conferences, seminars should permit students to attend video-conference classes, share with experts/institutions through intersectional fields and video-conferencing technologies. I will have more to say on this topic in individual posts devoted to more specific topics. If you are however looking for some advice and guidance in studying rare books, do not hesitate to contact me below.